Select Restaurant - Make your favorite Restaurant & Starbucks recipes at home with Replica Recipes! Applebee’s International, Inc., is an American company which develops, franchises, and operates the Applebee’s Neighborhood Grill and Bar restaurant chain. The Applebee’s concept focuses on casual dining, with mainstream American dishes such as salads, shrimp, chicken, pasta, and “riblets” (which is considered Applebee’s signature dish). Arby’s is a fast food restaurant chain in the United States and Canada. It is primarily known for selling roast beef sandwiches and curly fries. The Arby’s menu also includes chicken sandwiches, appetizers, salads, Market Fresh (deli-style) sandwiches, wraps, and submarine sandwiches. Auntie Anne’s, based in Lancaster, Pennsylvania, is an American chain of pretzel bakeries founded by Anne F. Beiler and her husband, Jonas, in 1988. Auntie Anne’s serves products such as pretzels, dips, and beverages. Benihana (Japanese language: 紅花 “Safflower” ) is a Doral, Florida-based (suburb of Miami, Florida) American company that owns or franchises 116 Japanese cuisine restaurants around the world including its flagship Benihana Teppanyaki brand as well as the Haru (fusion cuisine), and RA Sushi restaurants. Bennigan’s is an Irish pub-themed casual dining restaurant chain with locations throughout the United States, and in 14 countries and 15 territories outside the continental U.S. The operating company, Bennigan’s Franchising Company, LLC, is headquartered in Dallas, Texas. Boston Market, known as Boston Chicken until 1995, headquartered in Golden, Colorado, is a chain of American fast casual restaurants. It is owned by private equity firm Sun Capital Partners, headquartered in Boca Raton, Florida. 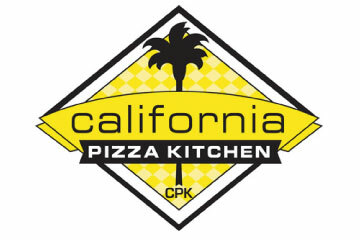 California Pizza Kitchen, known within the food industry as CPK, is a casual dining restaurant chain that specializes in California-style pizza. 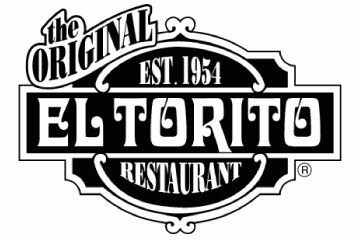 The restaurant was started in 1985 by attorneys Rick Rosenfield and Larry Flax in Beverly Hills, California, United States. The Cheesecake Factory, Inc. is the number one distributor of cheesecake in the United States. It is also a restaurant company. The first Cheesecake Factory restaurant was opened in Beverly Hills, California, in 1978. The restaurant established the future chain’s pattern of offering an eclectic menu, big portions, and signature cheesecakes. Chi-Chi’s is a Mexican restaurant chain in operation in Belgium, Luxembourg, United Arab Emirates, Kuwait, and Indonesia. 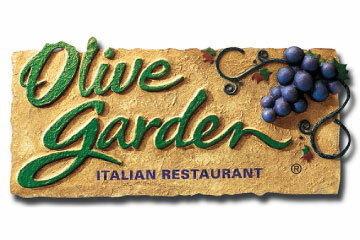 Chili’s Grill & Bar is a restaurant chain founded by Larry Lavine. 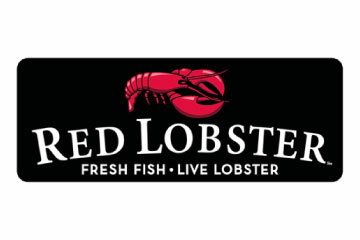 The chain has more than 1400 casual dining restaurants, mostly located in the United States and Canada. Denny’s (also seen as Denny’s Diner on some of the locations’ signage) is a full-service coffee shop/family restaurant chain. 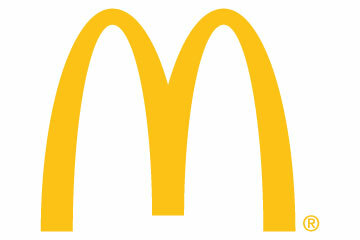 It operates over 1,600 restaurants in the United States. Denny’s is known for always being open, serving breakfast, lunch, dinner, and dessert around the clock. Cracker Barrel Old Country Store, Inc., (NASDAQ: CBRL) is an American chain of combined restaurant and gift stores with a Southern country theme. Cracker Barrel’s menu is based on traditional Southern cuisine, with appearance and decor designed to resemble an old-fashioned general store. 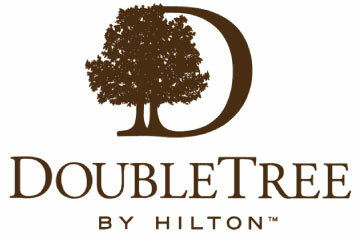 DoubleTree by Hilton is a worldwide brand of upscale hotels trademarked by Hilton Worldwide. Doubletree presents a freshly baked, warm chocolate chip cookie with walnuts to each guest at check-in. Used to suggest Doubletree hospitality, it has been used to differentiate the Doubletree hotel brand from its competition. 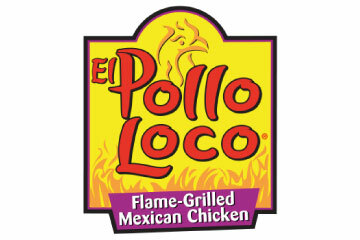 El Pollo Loco is a fast-food restaurant chain specializing in Mexican grilled chicken. It is headquartered in Costa Mesa, California.”El Pollo Loco” is Spanish for “The Crazy Chicken”. KFC (Kentucky Fried Chicken) is the world’s largest chain of fried chicken fast food restaurants, headquartered in Louisville, Kentucky in the United States. An “American icon”, it is the second largest restaurant chain after McDonald’s, with over 17,000 outlets in 105 countries and territories. 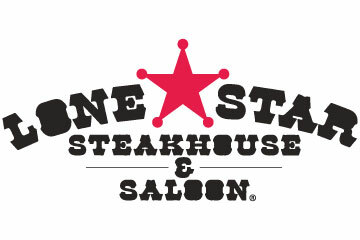 Lone Star Steakhouse & Saloon is a casual dining restaurant chain, serving steak, seafood, salad, and similar food items. Lone Star opened its first restaurant in 1989 in Winston-Salem, North Carolina. Mrs. Fields Famous Brands is a franchisor in the snack food industry, with Mrs. Fields and TCBY as its core brands. Through its franchisees’ retail stores, it is one of the largest retailers of freshly baked, on-premises specialty cookies and brownies in the US and the largest retailer of soft-serve frozen yogurt with live active cultures in the United States. 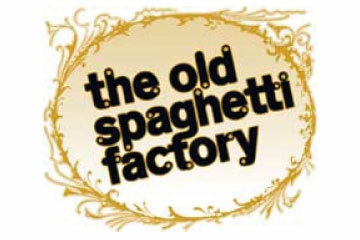 The Old Spaghetti Factory is an Italian-style chain restaurant in Canada, Japan, and the United States. 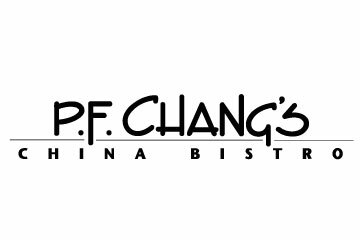 P. F. Chang’s China Bistro is a Asian-themed US casual dining restaurant chain owned and operated by Centerbridge Partners and headquartered in Scottsdale, Arizona. As of January 1, 2012, P. F. Chang’s operated 204 restaurants in the United States, Puerto Rico, Mexico, and the Middle East. 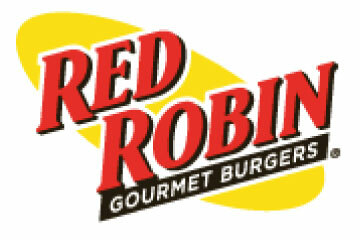 Red Robin Gourmet Burgers is a chain of casual dining restaurants founded in 1969 in Seattle, Washington, and now headquartered in Greenwood Village, Colorado. Starbucks Corporation is an American global coffee company and Italian-style coffeehouse chain based in Seattle, Washington. 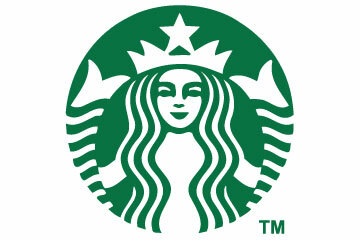 Starbucks is the largest coffeehouse company in the world. T.G.I. 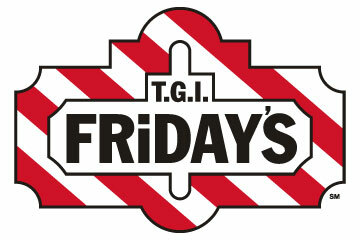 Friday’s (often shortened to “Friday’s” in most countries, and stylized “FRiDAY’S”, or “T.G.I.s” in Ireland and the United Kingdom) is an American restaurant chain focusing on casual dining.